Rev up your Skin Care Routine for 2013. Get a facial at the change of season, right now is the perfect time because Winter just started plus it’s a treat to start the new year off on the right foot. Getting a professional facial is not only relaxing but is also very important for the health of your skin. Facials are treatments of the epidermis designed to enhance the look and texture of facial skin by cleansing, hydrating, removing dead skin cells, unblocking clogged pores, and/or tightening the facial skin. The benefits of facials can go more than skin deep, though, providing a sense of relaxation while enhancing self confidence and promoting a general feeling of well being.Even though it is relaxing to head to the spa frequently to get a professional facial, you can easily do one at home for less. The reason why a winter facial is essential is because if the skin’s natural barrier is weakened, moisture is lost and the surface layers of the skin crack easily. Potential irritants are also able to penetrate the barrier, which can cause redness and sensitivity. Here are some tips and products from Eden Fantasys that will keep your skin looking supple all winter long. Steam: soften dry patches by steaming your face over a bowl of boiling water (cover your head with a towel) for several minutes. Cream cleansers: are a good choice for the winter months. For those with acne-prone skin, try a cream cleanser specifically formulated for acne that won’t cause breakouts. Sugar scrub: remove dry skin cells from the surface of your face to expose new, fresh cells for a healthy glow. Extractions: This is the removal of blackheads or whiteheads but be careful because when done improperly, extractions can scar your skin or cause broken capillaries or hyperpigmentation. Massage: use classic strokes like effleurage to both relax you and stimulate your skin and facial muscles. Mask: Use a targeted mask to your skin type (dry, oily, combination, sensitive, or mature). A mask is helpful to remove buildup from the pores, while also minimizing pores’ appearance. I like to put a mask on then take a relaxing bath or I will mediate while the mask sets in. After you remove your mask you should always apply a good facial moisturizer such as the one pictured above from Senous Beauty because it’s made a with a blend of organic and natural oil and butters. 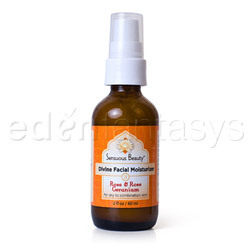 Perfect for normal, dry, sensitive, combination, mature and aging skin. 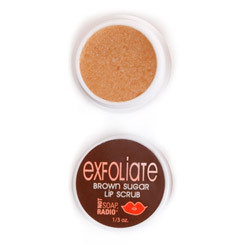 If you get dead skin on your lips or have dry lips, use a lip scrub to exfoliate them and it will make a difference. 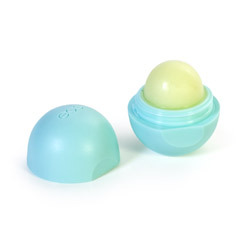 After exfoliating your lips use a lip balm such as a EOS lip balm that is organic and free of nasty chemicals, bad taste, or smell. And your done, a facial at home in under 10 steps. At-home facials are easy to complete and can be done to soothe and renew skin, as well as relax. Shop Edenfantasys Bath and Beauty selection for your facial essentials, and save up to 70% off your purchase during their Holiday Blowout Sale! I received a gift card as compensation for this post. All opinions are my own and not those of Eden Fantasys. ”EdenFantasys.com is known for their adult products, but did you know that they also carry massage oils and bath and body products?